You have an Intend Stiffmaster and want to let us know your feedback? - cornelius-kapfingers Webseite! 1. Do I really feel the improved stiffness? 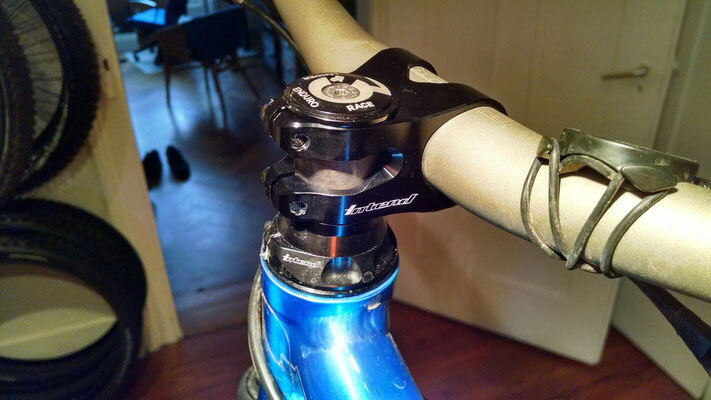 If you have 50 kg, zero spacers with zero stack headset and you are riding very slow? Then you will not feel that much improvement. If you have 80 kg, normal stack height and want to go fast, you will feel it! The improvement is 40% less elasticity. You will have the slight touch of a double crown fork. 2. Is a stiffer cockpit better? Question: if you can choose between a flexy stem and a stiff stem - which one would you choose? Would you ever mount a more flexy stem to improve your cockpit feeling? 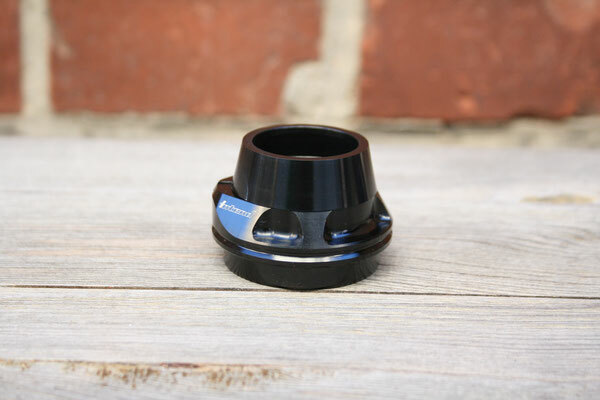 Be honest, you will never mount a more flexy stem if you have the choice, so yes, a stiffer headset is the better one! Still stiff, when others are already done! 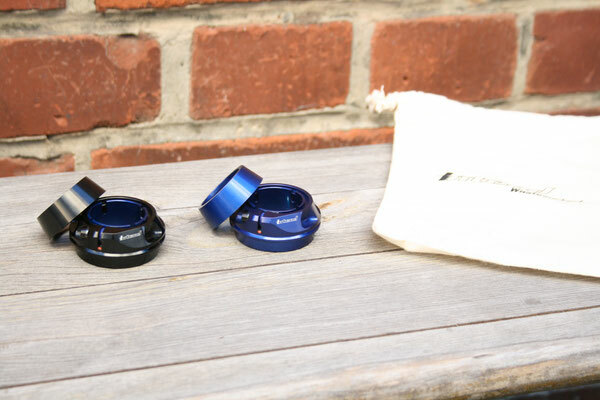 This headset (upper part only!) increases the stiffness of your 1 1/8" steerer tube. It's not about the stiffness of the fork, its about the stiffness of the handlebar for onesided loads. Fast turns, sprinting or horrible rock gardens, a stiffer cockpit is neccessary for fast and hard riding. But it is not done with a stiff handlebar. 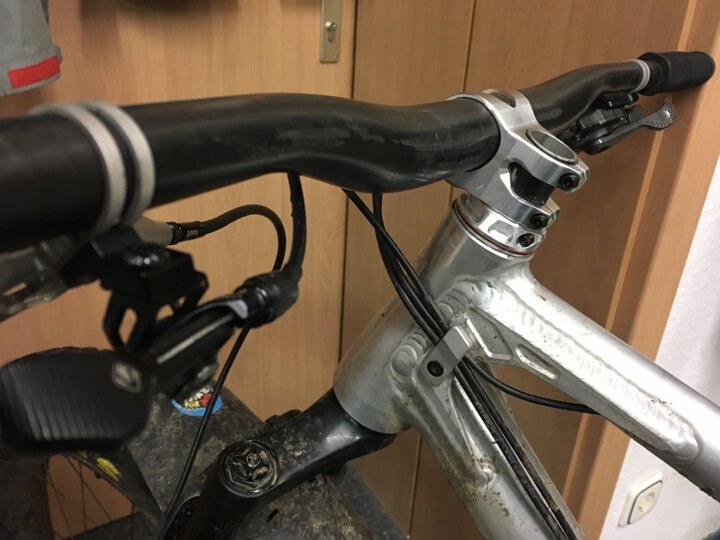 The handlebar itself should have some small flex for symmetrical loads to increase comfort, but onesided loads should not make the system bend. The one-piece spacer increase the stiffness further (one is included). 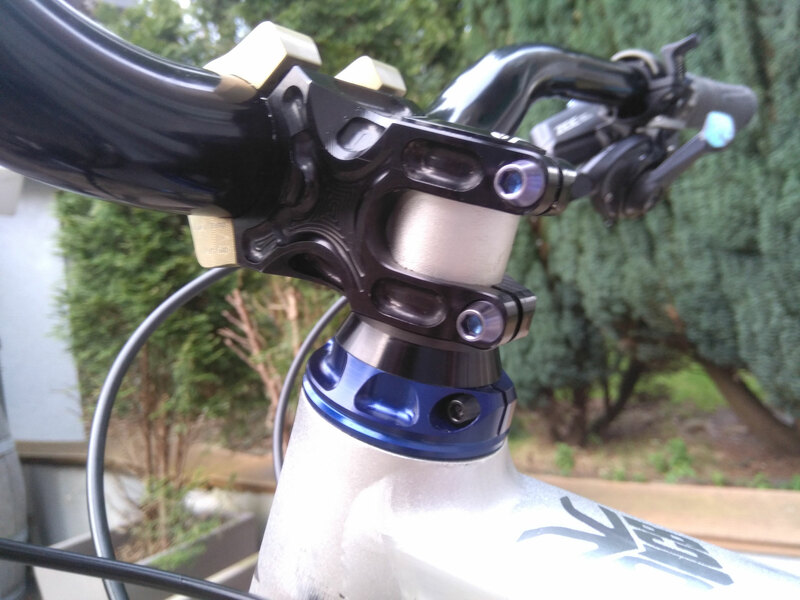 General improvement of the stiffness is about 40% ( measured at 26mm stackheight) compared to a standard headset incl. spacer. 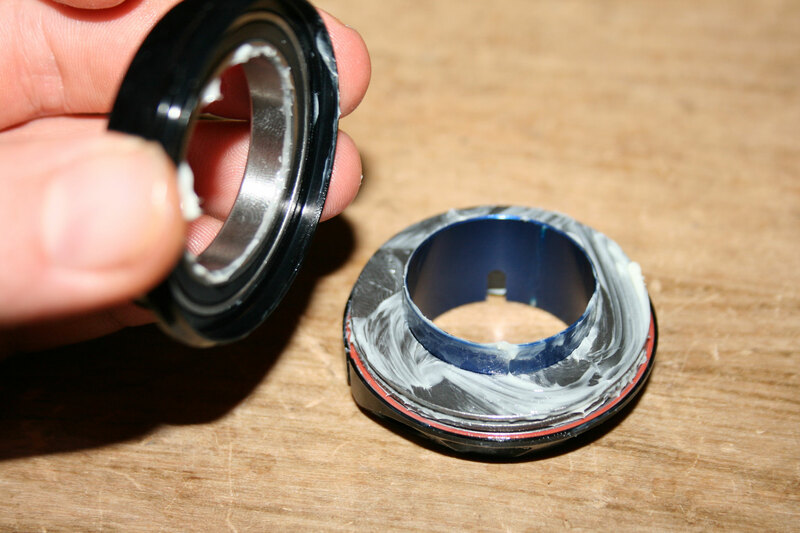 Next to this the bearings of Stiffmaster are so huge and filled up with salt-water-resistant grease, that you can forget your headset totally. Note: the minimum stack height is 14mm, but you should use always a Intend Spacer. 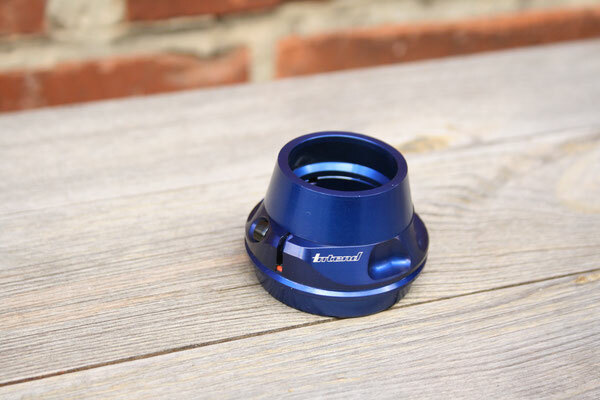 With the lowest spacer the stack height is 15,5mm and this fits to every stem! Note: you can use all conventional spacers in addition to the Intend spacers. But the first always should be an Intend spacer. I do not offer "normal" spacers. 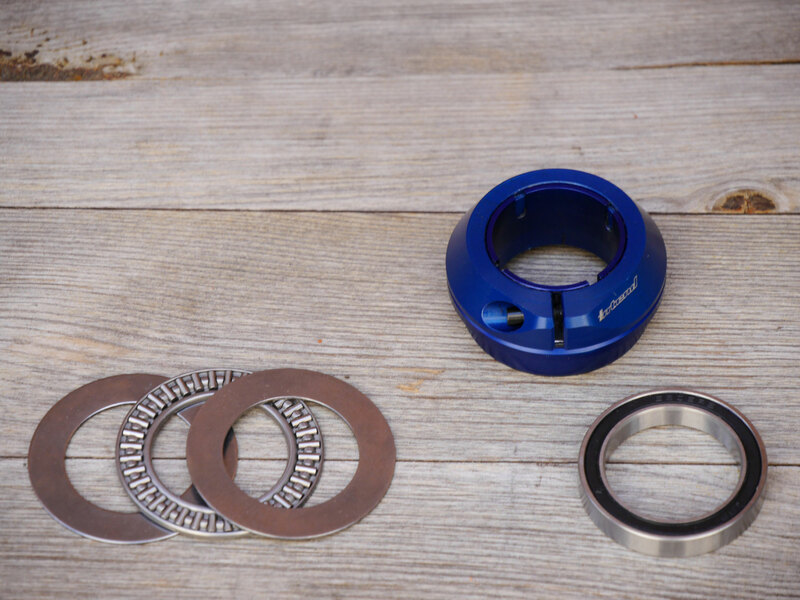 You can get all Intend spacers individually if you do not know your riding height yet. You have an Intend Stiffmaster and want to let us know your feedback? I have had a Stiffmaster since August of last year on my Devinci Spartan. My first day out I took it to a high speed trail with lots of big roots. Oddly, I felt like was going slower, but my times were fast. My conclusion was that my handlebars were much more stable and therefore felt more in control. At slow speed I remeber feeling more feedback in my hands than with my previous stock headset, but at higher speeds it felt great. Now it just feels natural and I don't think about it. I have had several DH and freeride bikes with dual crown forks over the years. 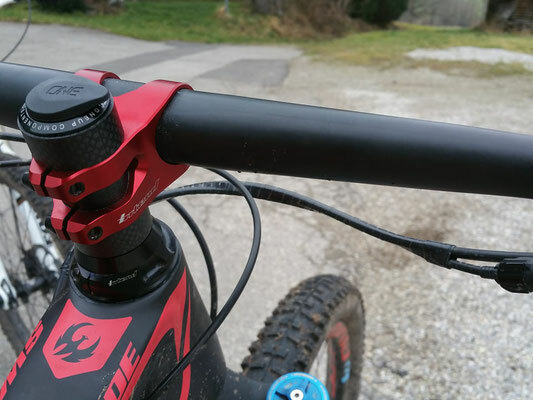 I like my handlebars to feel solid for when I hit chunky terrain, and this product delivers. 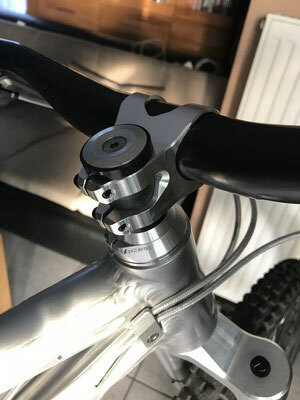 I also love how easy it is to change handlebar height depending on the race course without worrying about tightening the headset and you can line up the stem with the top cap groove of the headset for straight handlebars. It really works. It just makes the front of your bike feel stiffer. It makes the steering more direct and predictable. I feel more confident now, I guess. 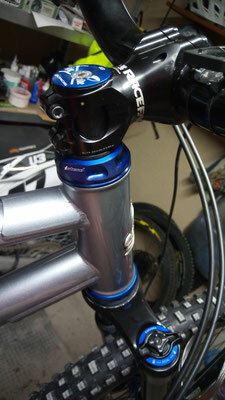 A very noticeable and valueable upgrade, especially for tall guys like me with a long steering tube. Was für eine Einpresstiefe hat denn die Schale? Sieht das nur so aus oder muss man echt beim Nachschmieren des Axiallagers den Steuersatz auspressen? Does this come as a complete headset or just the top? if its the top only, do you make a bottom as well? 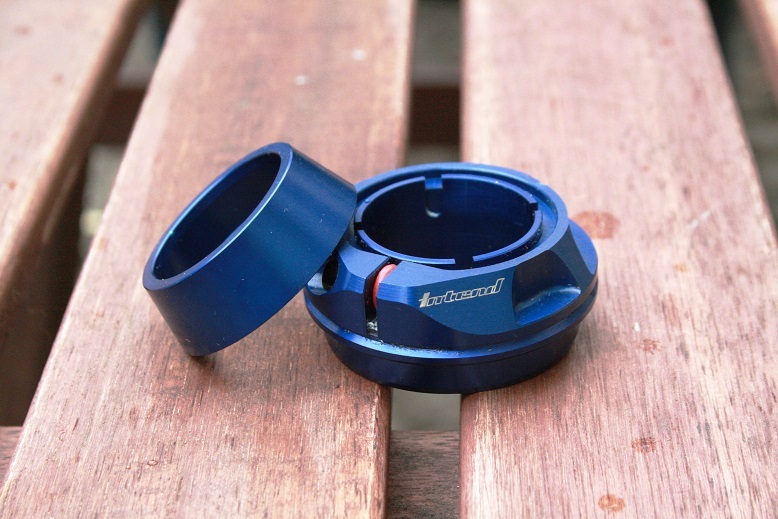 My current setup was 25mm of spacer on a zero stack headset, I decide to go for the intend stiff master only because I were curious about the behaviour. The result is pretty noticeable especially in berms and rough sections, where the steering feel more precise and direct, and during braking. In this latter case the bike seem a little less forgiving and compliant, but this is the price for improved overall accuracy. My weight is 82kg ready on the bike, the bike is a Trek slash alu 2016 with lyrik 170. Quality is high, a nice piece of engineering. Really love this part. Installed it, feels like I have a double crown fork now. What makes it a cheap and light upgrade. Thanks! Now I want it on all my bikes!